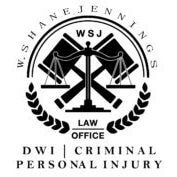 Generally, The Law Office of W. Shane Jennings takes DUI offenses in Las Cruces in the magistrate court and the district court. We also do criminal defense work on DUI outside of Las Cruces, in Alamogordo and Ruidoso. W. Shane Jennings has won plenty of cases out of Sunland Park and has also taken cases from Doña Ana County, Anthony, Mesquite, and Chaparral. This is my first DUI arrest. What is the worst that could happen? A DWI first offense is a petty misdemeanor. That means you could spend up to 90 days in jail. If you refused chemical testing or your blood alcohol concentration (BAC) was above a certain level, then there is a mandatory jail term. Also, DWI school, alcohol evaluation, ignition interlock for one year, and community service are mandatory. Your license can also be revoked for six months up to one year (one year if you’re under 21). If your license is taken away and you drive, you can be charged with driving on a suspended license for DWI. DUI attorneys cost a lot of money; why should I pay for one? When you face criminal charges, the outcome of the situation depends on what you do from the beginning. DUI arrests are complicated. Every day and everything matters. A DUI lawyer who charges you a fair price can spend time on your case. Even though it is one of the petty offenses, drunk driving is a criminal charge, and that can mean big trouble. A positive outcome comes out of hard work. A good criminal defense lawyer gains every possible advantage for you. DUI lawyer W. Shane Jennings works hard to help you stay out of trouble, gain every advantage, and stay out of jail. What can the law office do for me? As a New Mexico DUI lawyer, W. Shane Jennings has defended many DUI arrests. A good DUI defense starts here. The process of going to court for a criminal offense such as a DUI in New Mexico is complicated. Was the officer properly trained? How was the field sobriety test given? Should your case be dismissed? You might think that you are in big trouble and there is no way to save your license, keep a blemish off your personal record, and avoid penalties. You may be in trouble, but DUI lawyers such as W. Shane Jennings know how to get you better results than you might think. Friends and family are great resources to lean on in a time like this, but each DUI arrest is different. Friends may tell you things that do not apply to your situation. Talking to people to relieve stress is natural, but that’s where it should end. Living with the consequences of a bad DUI case changes the rest of your life. You want to walk into the court with a DUI lawyer who knows the process, who has worked in the court, and who has received positive outcomes in the past. 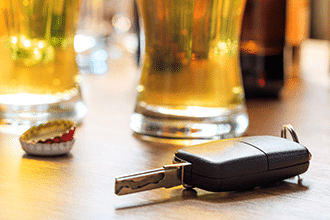 In New Mexico, driving with a BAC of .08% or higher is illegal, and the penalties for driving while intoxicated can be fairly steep. For your first offense, you could face license suspensions, community service, and fines. After multiple offenses, you may even face jail time. Driving while intoxicated is always a mistake, but there are two sides to every story. If you want to fight for your rights and tell your version of events, get in touch with the Law Office of W. Shane Jennings. W. Shane Jennings will work tirelessly on your case. If possible, our team will help you reduce the charges and minimize your penalties. We will also do what we can to keep your charges off your permanent record. At the completion of the legal proceedings, we will help you move forward with the penalties you face. For example, we can assist you in enrolling in driver education courses or having an ignition interlock device installed on your vehicle. We know that these details can be confusing, and we are here to help. Get in touch with our New Mexico law firm today!